We offer take-out lunch and dinner. Uber Eats and Doordash delivery service available. Please call for any home/office catering we will be happy to assist you! We offer prix fixe dining menu's for your private event, customized to your needs. Mezza Mediterranean in Livingston, NJ is the first expansion of the original Mezza in Westwood, NJ! Mezza Westwood is a NY Times reviewed restaurant in the heart of Westwood. We prepare authentic Mediterranean cuisine with a modern touch, and our philosophy is to use the freshest ingredients at the right time to present the most incredible menu possible to our guests. We import our pita bread directly from Israel, and our hummus and grape leaves are like nothing you have ever tried here in the States, made fresh to order. Some local favorites on our menu include our braised lamb shank, Moroccan chicken tagine, and grilled octopus, we are BYOB. We look forward to serving you the best, fresh Mediterranean lunch and dinner around, at a very reasonable price, in a gorgeous casual setting! See you soon! Enjoyed the food, service was great. A little loud at times for inside seating. Overall would recommend. My new favorite dinner stop. I love mediterranean food, but most is ...eh. Not this place. The chef is an artist. Also, it's BYOB, which I always love. Another absolutely delicious meal at Mezza. The cauliflower appetizer is to die for and we had the strawberry mango salad which was terrific. The branzino was outstanding and we always love the halva ice cream dessert. This is one of my favorite restaurants in the area. The food is authentic and delicious! Don't try to "pop in" because it is always jam- packed on Friday and Saturday nights. You'll need a reservation. And if you are a dessert person, don't hesitate to try the halva ice cream...yummy! Can't wait to go back! We had an awful experience. We frequent this restaurant at least 2x a week (or take out), and this evening was awful. 2 dinners had to be sent back as they were over cooked and microwaved. The service was terrible. Apparently they were down 2 cooks and servers. We complained to the owner who took 2 meals off but honestly the whole meal should have been comped. Love this restaurant! Food is fresh something to eat for all. Timing is great. Service consistently good. Excellent place. 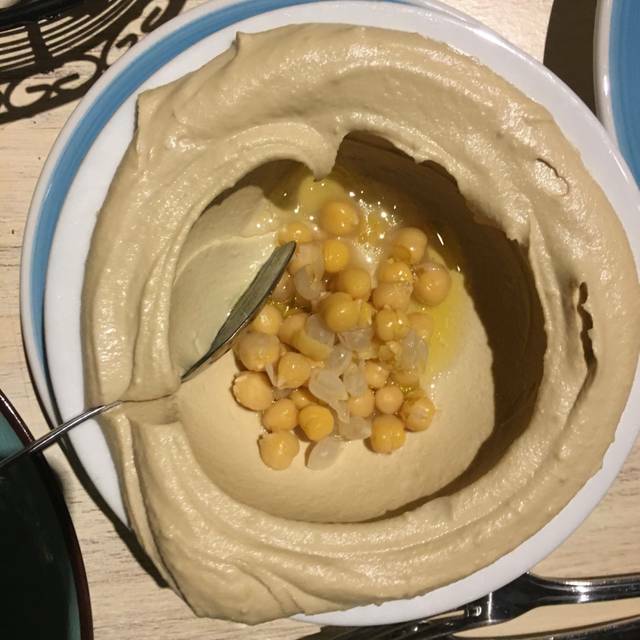 Hummus is top shelf. The Mrs had the skirt steak and said it was the best she ever had. I always get the beef kabobs. Marinated and cooked to perfection. And BYOB too. Food was delicious. Service left a lot to be desired until we approached the manager. Excellent restaurant. Varied menu. It is especiallygood for vegans abd vegetarians. Food is excellent and so is the ambiance. Third time here and not a dud yet. Food is fresh and well prepared. Some people might think the menu is limited but if you do everything right what’s not to like. Atmosphere is big for me and this restaurant has a nice cozy feel due to the lighting and colors. This was our third time dining here and once again, we had a totally enjoyable meal. 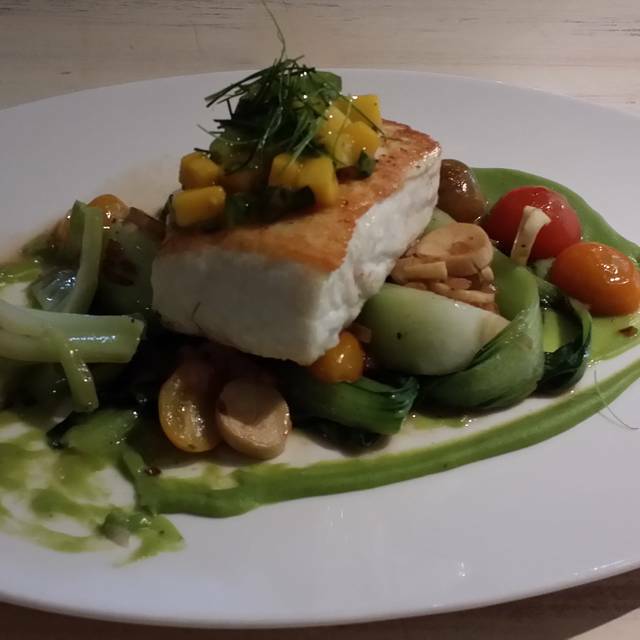 My wife's fish special for $36 was dry and kind of tasteless. Otherwise the food was good. Our waiter was nice, but not particularly helpful. Overall a little too pricey for what they offer, but a decent restaurant for local standards. Mezza is fabulous for lunch or dinner. It is a regular for us and our favorite restaurant in the Livingston area. This time we started with the grilled haloumi cheese and the stuffed grape leaves. Both really good. You also have to try their hummus, tzatziki, matbucha (rich tomato preparation), Persian shrimp, and Turkish ezme (rich eggplant preparation) dips. For an entree the best choices are the branzino, Braised Short Rib Pappardelle, lamb shank, chicken tajine (truly unique), Mediterranean Shish Kebab, shrimp with orzo. Long Island duck was not as good as the other choices. 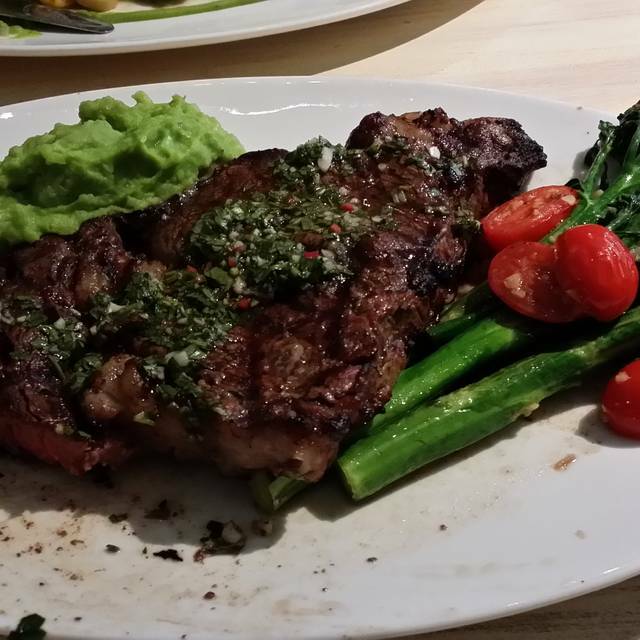 Their specials (on the weekend) are usually amazing - scallops, rib eye, lamb chops. Save room for dessert! Ricotta fritters and baklava (try the special pistachio version if it's offered when you're there). They also make an excellent chocolate souffle - takes about 20 minutes so order while eating dinner. Even the assorted ice cream (chocolate, cappuccino, pistachio) is a great choice. The place is quaint, but the food is just alright. Not great. Service wasn't very good. The grape leaves were awful. the appetizers were very good. I probably would not go back. We picked this restaurant mostly based on location and saw that it was well rated. We were so pleasantly surprised by how good the food was. In fact it was excellent. My friend and I eat out a lot and wanted a nice place to eat while we waited for our sons who were attending a party. We shared a few appetizers: the shrimp, falafel and crispy cauliflower. They were all delicious but the crispy cauliflower is a must! We shared the branzino which was perfectly prepared. The only “disappointment” was the rice pudding as it was more creme brûlée than rice pudding. Fortunately, we love creme brûlée but we were really hoping for more of a traditional rice pudding. We look forward to returning with the rest of the family in the near future. As always..AMAZING!! Took friends there and all feel in love!! Really enjoyed the cauliflower app and the seafood couscous. Second time there and has not disappointed. We dined at Mezza on Sunday evening and had a lovely meal. The short ribs over pappardelle was delicious as was the cod special. The restaurant was not crowded so we had a quiet evening. The cauliflower appetizer as also delicious; a great combination of flavors and textures. We will definitely be back. Fabulous food and great service this evening. Lovely young man being trained by our server who showed him professionalism and knowledge of the menu and specials. Went to celebrate a birthday. The staff and service was excellent. Shared lots of dishes which was not a problem for staff. Great appetizers and mezza courses. Chicken tagine and lamb shank were especially good. My new favorite restaurant. Excellent , service and food. We've eaten at Mezza a number of times and have never been disappointed. The food is good. We like to order a variety of appetizers and split a main course. Great authentic Mediterranean food and ambiance. Our server, Athena could not have been nicer or more accommodating. Even though the tables are close together it didn't feel intrusive. Will definitely be going back soon! Service was great. I like the way they use flavors in so many different ways. Great for healthy eating (vegan, veggie, etc). Food is delicious definitely recommend this restaurant. Appetizers were outstanding. Branzino fish main dish was past its prime -- smelled somewhat. Ossobuco was grainy and dry, although floating in sauce. Service was attentive and honest -- what the waiter did not know, they went to the kitchen to ask. Noise level was on the high side but did not interfere with conversation of 4. May become an issue with 6 or more. Excellent dinner great food, good service. Great food. Flavor, presentation, ingredients all spectacular. A GREAT place to dine-delicious creative dishes, wonderful service, nice ambiance and very reasonable pricing. For dessert, you MUST try the halvah ice cream! Great service and excellent food. the best falafels i have had yet and the deserts are great as well.